We’ve created a list of the best MTB front shocks with feedback that you can use to guide your purchase decision. 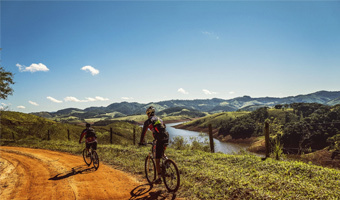 Having good shocks installed on your mountain bike is ideal whether you’re planning on riding on rough terrain, dirt tracks or downhill courses. Good shocks smooth out all the bumps your bike goes through, giving you improved handling and a comfortable riding experience. But trying to find the right shocks can be hard as most of the details listed for these shocks are a list of specs. 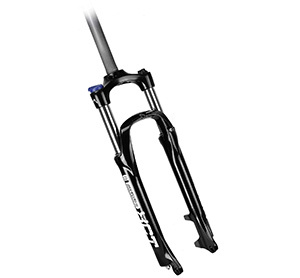 The SR Suntour Mountain Bike Disc Fork XCT are affordable MTB front shocks. It uses a coil spring, has a 9 mm axle, and is designed for a disc brake. It has a lockout feature which means that you can adjust to the road conditions. 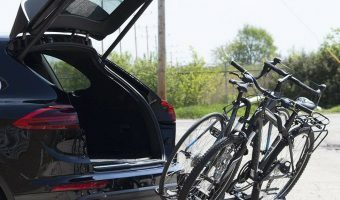 You can save energy on smooth surfaces or be set up to handle rougher surfaces thanks to such a bike upgrade. Customers found this to be one of the few MTB front shocks that offered a strong value for the money. Many of the buyers used this model to upgrade from their pre-installed OEM part. As a result, they saw a big boost in performance. The only downside to this particular model is that it is heavy and can be noisy. If you’re looking for something a bit lighter but within the same price range, the RST Omega TNL is a strong recommendation. It has a coil spring suspension, a 9 mm axle, and can work with a disc brake or V brake. This gives these MTB front shocks more versatility. Like the Suntour model, it also has a lockout system which is a pretty common feature. Customers liked that the adjustable dampening gave them the option to find the perfect amount of resistance on different surfaces. There was even a customer that used these MTB front shocks for small drops without any problems. The only minor criticism was that the lockout feature didn’t have enough settings in the middle. The Manitou M30 Mountain Bike Fork is mid price range suspension system that is a step up from the previous two models. The Manitou M30 is different in that it uses an air pressure system. It has a 9mm axle and works with a disc brake. It includes a lockout feature like the other options on the list. According to customers, one of the standout features is its weight. It is only 3.52 lbs which is 40 to 60 percent lighter than many other MTB front shocks. According to user reviews, the material was very well built and installation was a breeze. There wasn’t much criticism about this choice. 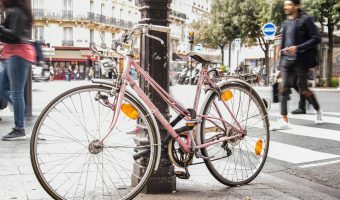 Nonetheless, a good number of customers had to make small adjustments to make the small parts and screws fit their bike. 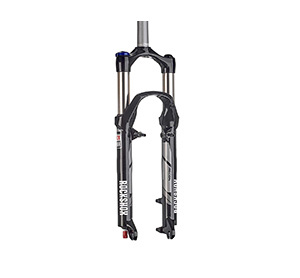 The RockShox is a popular brand among many mountain bikers. This particular model is on the higher end price-wise. It is an air pressure system and works with disc brakes or v brakes. The RockShox Recon is designed for riders that want a suspension system that is versatile and can withstand a lot of abuse. Customers that have tested the RockShox Recon on drops and really rough surfaces reported that it fared very well and was durable. While the RockShox Recon isn’t much lighter than the Manitou, it’s still a pound to a pound and a half lighter than some of the cheaper models. 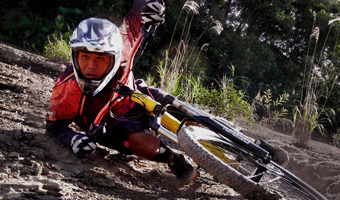 The DNM USD-8 are MTB front shocks that are specifically designed for downhill courses. 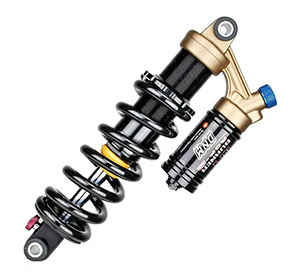 As such, these spring-based shocks are designed to eliminate the rattle and varying surfaces during your ride. It is a top of the line model price-wise and justifies it through its ability to handle the shock of big jumps. Customers found that the DNM USD-8 was able to sufficiently handle downhill courses as well as dirt racing courses. Riders found that it delivered a smooth ride through rough terrain and gave them the confidence to perform on the track. There are a few criticisms though. One customer noted that it wasn’t as durable as expected. It is also 11.6 lbs which is very heavy and can impact your performance. That’s a complete list of the MTB front shock suspension systems. We’ve made a strong effort to highlight the best points of each model while also noting any weaknesses that it may have. We’ve also made a point to feature models across all price ranges. As a result, there’s something for everyone. Bikers that want to replace their OEM shocks or want a top of the line model will find great options on our list. If you have any feedback about any of the MTB front shocks on our list, please let us know! 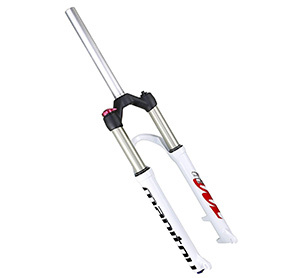 If you are looking to buy the best MTB front shocks, then you will want to look at the SR Suntour Mountain Bike Disc Fork XCT. They are easy on the bank account and work quite well. We are happy with ours. Hello, Sloane! 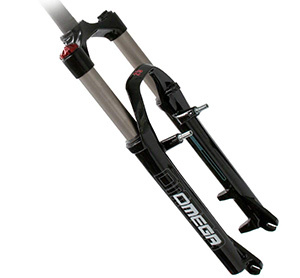 Thanks for the vote for the SR Suntour Mountain Bike fork. 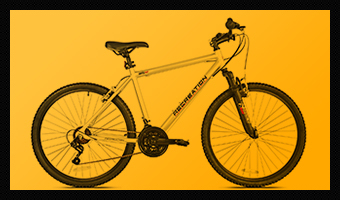 Follow our Bike Gear Expert Facebook Page for more reviews on mountain bikes and their upgrades! This is good to know because I was clueless as to what product to get. I am still going to do a lot of studying and researching on other sites reviewing bike accessories. However, I will keep this one bookmarked. Great to hear that! Thanks for the visit! Hеya i’m for the first time һere. I found this board and I find It rеally usefᥙl & it heⅼped me out a lot.